EU leaders have agreed to a "flexible extension" of Brexit until October 31 — a delay longer than what British Prime Minister Theresa May asked for but shorter than many in the bloc expected. Speaking at a press conference after Wednesday's negotiation talks, EU Council President Donald Tusk asked his "British friends" to not "waste this time". May said she still aimed to leave as soon as possible. Under the revised timetable agreed at a summit last month, the UK was due by law to leave the EU this Friday, April 12. But because she was unable to pass her Brexit deal through parliament, May wrote to Tusk asking for a delay until June 30, opening up the possibility that the UK would take part in the European Parliament elections in May. The new date agreed by EU leaders means Britain will not crash out on Friday with no deal. However, the terms for the UK's departure remain unclear since May is still struggling to garner enough support for the Brexit deal she agreed with the EU last year. As talks on the length of a new Brexit deadline dragged on, tensions in the negotiating room increased among EU leaders. Earlier on Wednesday evening, Tusk, in a letter, urged member stated to consider an extension lasting up to one year, arguing a long extension would give May time to convince hardline Brexiteers within her Conservative party to vote for her deal. "Importantly, a long extension would provide more certainty and predictability by removing the threat of constantly shifting cliff-edge dates. Furthermore, in the event of a continued stalemate, such a longer extension would allow the UK to rethink its Brexit strategy," wrote Tusk. However, French President Emmanuel Macron stood fiercely against the one-year long extension arguing that allowing Britain to stay in the Union any longer undermined the project of European integration, one of his main policy goals. German Chancellor Angela Merkel, who tried to ease tensions during the meeting, stressed everyone preferred an orderly Brexit and "an orderly exit by Britain can be best ensured if we give it some time." 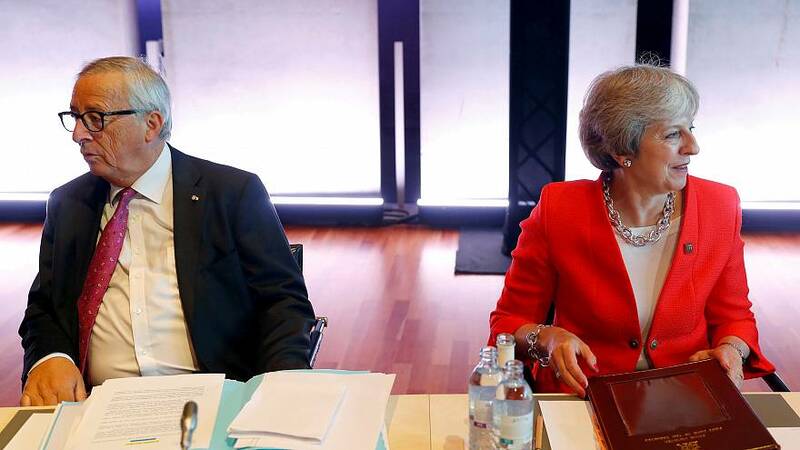 The resulting deal was the October 31st deadline, which stipulates that Britain will leave the bloc deal or no deal with the condition that the UK participates in the European Parliament elections and that it does not disrupt key EU decision-making before it leaves. If May cannot get her deal passed with MEPs or fails to participate in the European elections, Britain will leave without a deal on June 1. Tusk told reporters: "The course of action will be entirely in the UK's hands: they can still ratify the withdrawal agreement, in which case the extension can be terminated." After receiving a longer extension than she asked for, May said that the new leave date did not mean she would not try to get Britain out of the EU sooner. "I know that there is huge frustration from many people that I had to request this extension," she told reporters. May's team now prepares for another round of talks on Thursday with the Labour Party. Tweeting in the early hours of Thursday, US President Donald Trump said it was "too bad that the EU is being so tough on the UK and Brexit." Germany's EU Affairs Minister Michael Roth reminds Britain the "flextension" means Brexit should happen as quickly as possible. "Everything is conceivable," EU Commissioner Guenther Oettinger tells Deutschlandfunk public broadcaster after the EU leaders' decision. A second referendum, snap elections, an additional extension, these are all on the table now according to Oettinger. For the French government, a no-deal Brexit remains a possibility. Speaking to French TV on Thursday, the government's spokeswoman Sibeth Ndiaye said: "It is not impossible that we could again have a no-deal Brexit." Britain's Foreign Secretary Jeremy Hunt said on British TV that a general election would be " absolutely catastrophic" if Conservatives don't deliver Brexit first. READ MORE: Where do EU leaders stand on the idea of an extension?